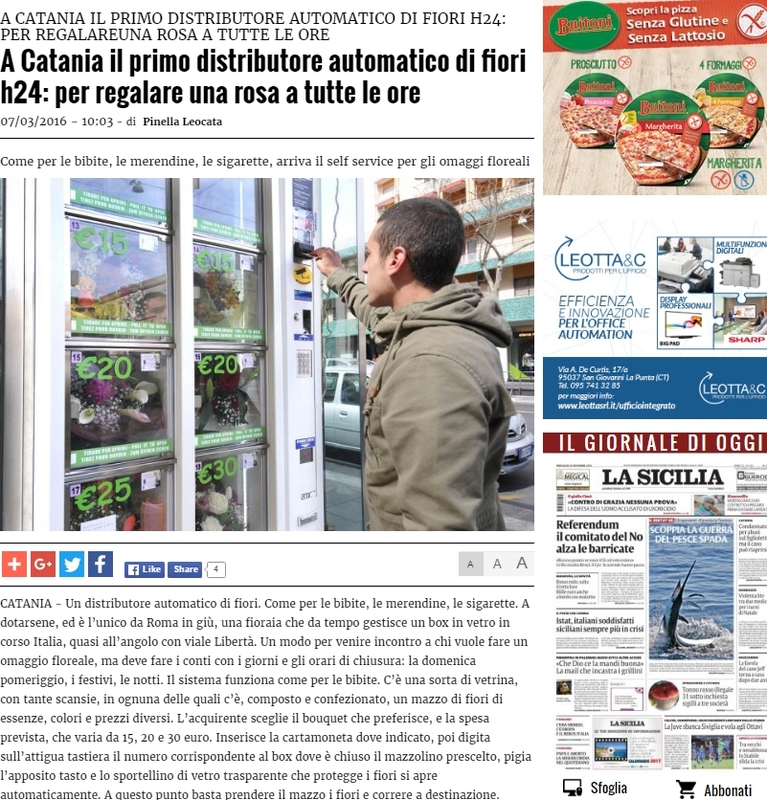 Automatique® is a flower vending machine producer based in Italy. We create each of our vending machine upon ordination to best fit the needs of our clients. Easy of use and product duration are our top priorities. We built our flower vending machine so that florists can prospere in their business with a reliable vending machine. Quality: build upon ordination, fitting your needs, all with Italian components. Assistance: pre-sale and post-sale. We customise our flower vending machine to match your needs. Optimisation: best results from a flower vending machine designed for your effective needs. Energy saving: automated temperature system to reduce energy consumption at the minimum. Please also consult our reseller list to know how we can help you in Europe.